UHMWPE is a subset of the thermoplastic polyethylene. It has extremely long chains resulting in a very tough material, with high impact strength. Its coefficient of friction is comparable to that of PTFE (Polytetrafluoroethylene) but it has better abrasion resistance. 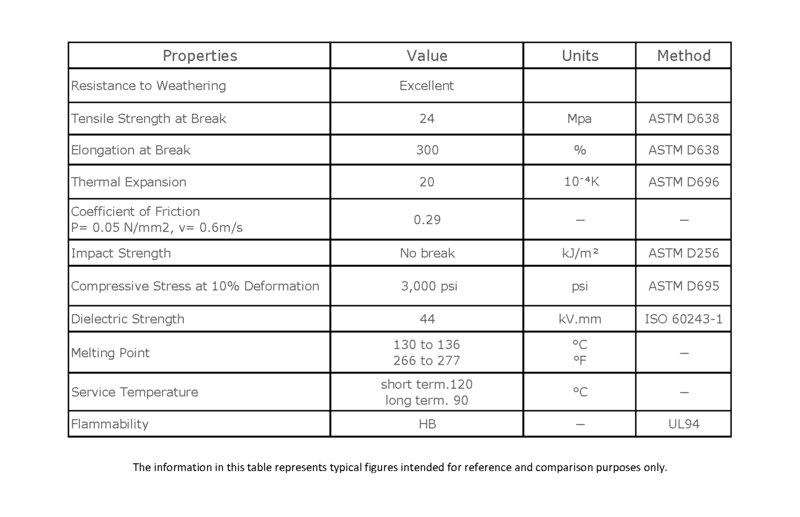 UHMPE is an outstanding bearing material with exceptional sliding properties and remains tough even at low temperatures. Processed by compression moulding or extrusion, our FL340 Rod and Sheet is annealed before machining to remove the internal stresses and as UHMWPE is easy to machine it is very a cost effective solution compared to metal.